In this article I will discuss security enhancement to protect both your data and applications in Summer’14 release, Mainly I will focus on password related enhancements. After Summer’14 release you can prevent users from sharing their own user records with other users across the organization. You can also set Organization-Wide Default for the user object to Private. This feature is available in Professional, Enterprise, Unlimited, and Developer Editions. Business Use Case:- Higher management in Universal Container doesn’t want to allow their users to share own user records with other users and on the record detail page they don’t want to allow users to see owner’s details (When user click on owner name they drill-down to user record detail page). Note :- After Summer ’14 release organizations that are enabling User Sharing get the Sharing button hidden on all user detail pages by default. 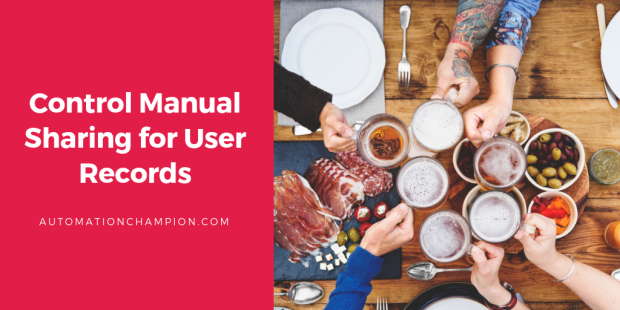 When the organization-wide default for users is set to Public Read Only, users get read access to all other user records, can see those users in search and list views, and can interact with those users on Chatter and Communities. To test this feature I am login with a different user whom having read only access on another user’s Lead records. In this demo I took the example Lead object to test (OWD Private for user object). 2) If you have disabled the Community User Visibility checkbox in the Sharing Settings page, community users can only be seen by themselves and their superiors in the role hierarchy. 3) To Share the user records you can write sharing rule.